NEAT (Newcomers Explore and Appreciate Toronto), a unique mentorship program designed to help new immigrants/ convention refugees gain hands-on “Canadian Work” experience in event planning and project management. 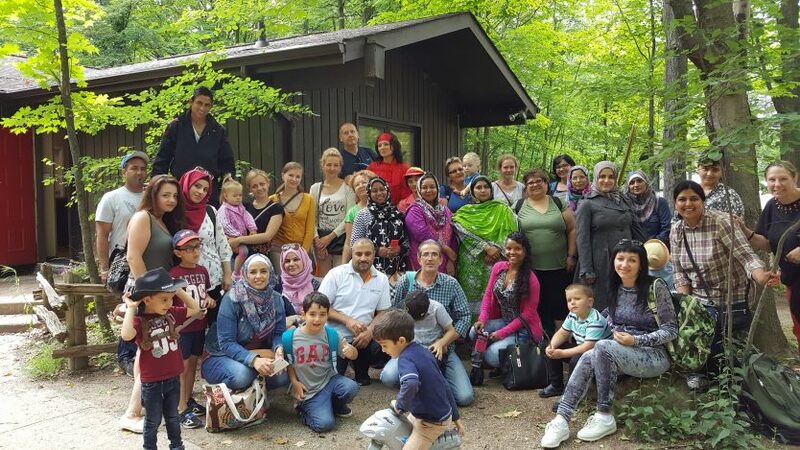 Newcomers are matched with mentors for a period of 4-6 months and work as a team to research, plan and organize free guided tours/outdoor/indoor activities. Volunteer with NEAT in 2019! Are you a newcomer looking for hands-on “Canadian” work experience? Are you interested in event planning or project management? Do you enjoy history, architecture, nature? Do you enjoy walking, exploring and meeting new people? Do you want to learn new skills or enhance your current skills? Are you looking for flexible volunteer hours that would fit well with your schedule? If you have answered ‘yes’ to any of the above questions, then NEAT Mentorship is the Program for you! The time commitment is 4-6 months and target is to organize 2 events/activities. English Language Level 4 and up is encouraged. For information/questions, contact Rubeen Chauhan at: 416-588-6288 x 231 / rchauhan@culturelink.ca. Available to commit to work with newcomer volunteers for at least 4-6 months and help organize at least 2 guided tours/activities. Must be 19 years of age or older and have life experience of living in Canada of 5 years or more. Online profile includes information of two references (name, email & phone). References cannot be related to the applicant. CultureLink reimburse for Police Clearance ($20) and also accepts copy of a valid police record check. Since the past two years, NEAT has partnered with Arts in the Parks to provide interested individuals opportunities to volunteer as “Arts in the Parks Ambassadors”. Arts in the Parks offer volunteer opportunities all around Toronto starting from June till September, throughout the week. Shifts can be 2 to 6 hours long. In order to get a certificate, we encourage that you volunteer for at least 3 shifts. We will provide training session at CultureLink, once we get the dates for 2019. During the training, you learn about your role and responsibilities followed by Q&A. After the training: You can decide whether you would like to volunteer or not. If you do, Arts in the Parks staff will collect your contact information to send you notification/reminder closer to the event dates. If you have any question, you can contact Rubeen at 416-588-6288 x 231 or via email at: rchauhan@culturelink.ca.